Stout Cask is a mix of the two famous Irish alcohols: Irish whiskey and Irish stout (brown beer) in collaboration with the Galway Bay Brewery. This innovative combination offers a rich small batch full of flavours and character including the bitterness of the stout beer "200 Fathoms Imperial Stout." This small batch whiskey has aged during 6 months in barrels that have had "200 Fathoms Imperial Stout" beer. Limited to 12,000 bottles worldwide. 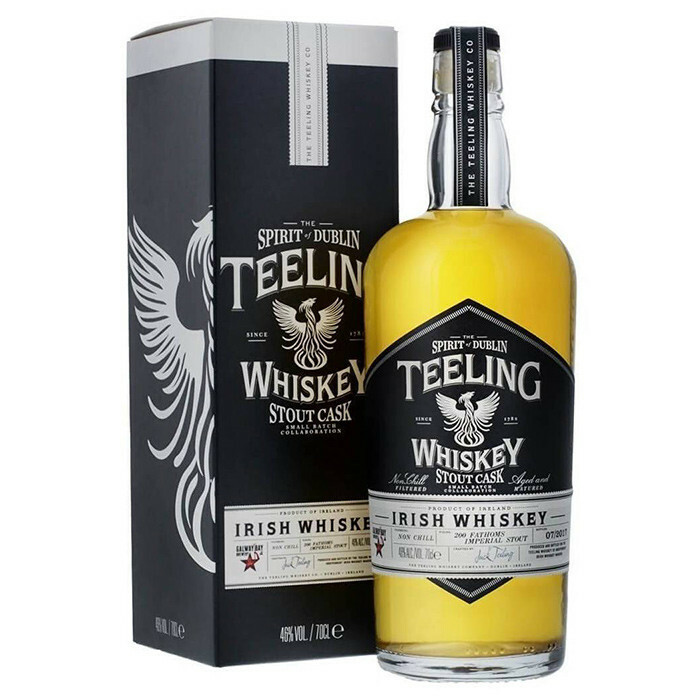 Awarded as Best Irish Blended Limited Release at the World Whiskies Awards in 2018 and 2019. Taste: Creamy caramel and vanilla, with layers of orange and plum. Chocolatey and rich, with a light hint of rye spice backing it up. Creamy caramel and vanilla, with layers of orange and plum. Chocolate biscuits, more caramel, a subtle jenever-like maltiness.